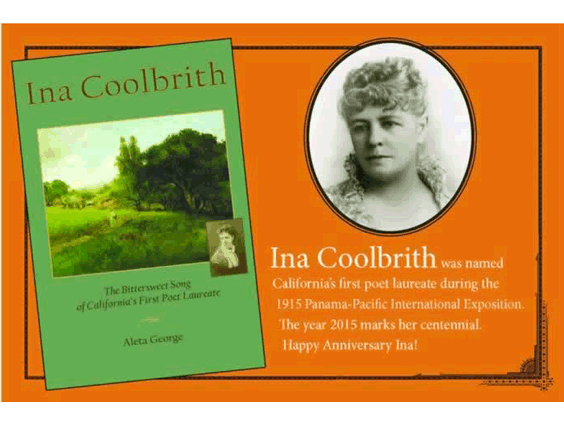 The Ina Coolbrith Circle, which formed during Coolbrith’s lifetime in 1919, will celebrate their founder’s centennial at the State Library in Sacramento with guest speaker Aleta George, the author of Ina Coolbrith: The Bittersweet Song of California’s First Poet Laureate. George will tell the story of how Coolbrith entered California on the horse of James Beckwourth at eleven years old, and with only two years of a public education became America’s first state laureate sixty years later. 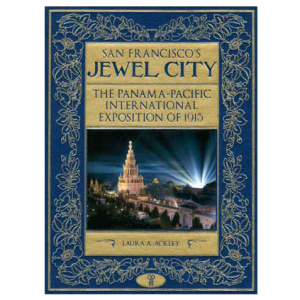 George will also read from her book about the crowning event at the Exposition Auditorium (now the Bill Graham Civic Auditorium), and the formation of the Ina Coolbrith Circle. 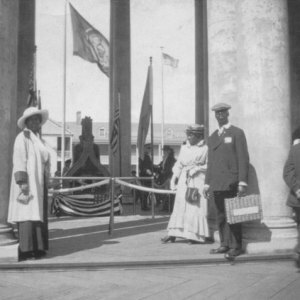 George will present a trophy commemorating Ina Coolbrith’s recent induction into the California Library Hall of Fame to the State Library for inclusion in the ICC archive, established in 2004 and which now includes over 300 books by members. Attendees are welcome to read a poem ABOUT OR BY INA COOLBRITH following our guest speaker.